Rahul Gandhi’s Congress party, on Saturday, lashed back at Arun Jaitley, Minister of Finance and Corporate Affairs, for making allegations in the AgustaWestland VVIP choppers case. Randeep Surjewala, Congress’s chief spokesperson, said that the Jaitely is showing immense trust in “diary entries” to level “bogus” charges, even as the Bhartiya Janata Party (BJP) is “mute” on Yeddy and Sahara diaries. 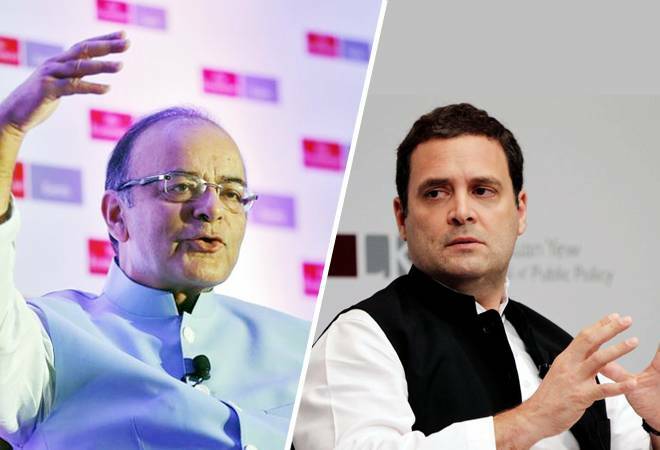 Finance Minister had said that the Congress should respond as to who were mentioned as “RG”, “AP” and “FAM” in documents summoned by the ED in the AgustaWestland case. He added that Swiss police, in 2013, had also confiscated records carrying similar initials in its raids in connection with the case.